Sequential fast marching method relies on serial priority queues, which, in turn, imply high complexity for large volumes of data. 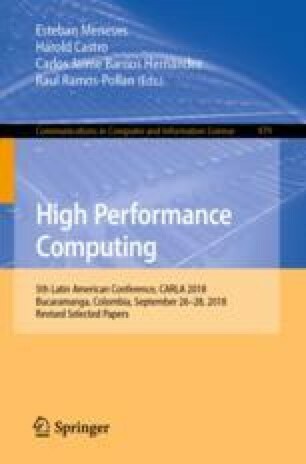 In this paper, an algorithm to compute the shortest path in the fast marching method for 3D data on graphics processing units devices (GPUs) is introduced. Numerical simulations show that the proposed algorithm achieves speedups of 2\(\times \) and 3\(\times \) compared to the sequential algorithm. This work was carried on the “Acuerdo de Cooperación No. 14” named “Tecnologías en geología y geofísica para disminuir la incertidumbre exploratoria”, from the Convenio Marco No. 5222395 subscribed between Ecopetrol and the Universidad Industrial de Santander.